Buying clubs are sometimes just buying clubs. Groups of friends or neighbors who order food in bulk to save some money. But some, and more and more, are growing and using the buying club to eventually open a community store. I’m happy to present two of our clients that have made it to that point. BuyingClubSoftware.com was created from our own experience with the Portland Food Co-op. In the early days we used spreadsheets and both Matt and I were doing splits with just a few other folks. That was about 7 years ago. And as of this past year they found a great retail space, with parking (which is huge in this town! ), and began their final push to raise funds to open the store in the fall of 2014. We’ve literally seen our membership grow from about 500 to 900 in the last few months, so they’ve done an amazing job growing the community support needed to open the store and truly be owned by the community. We are proud to have been a part of that success. For two years, the Kennebec Local Food Initiative (KLFI) has been providing you with access to hundreds of products grown and produced right here in Maine through the Online Marketplace (OM). Your twice-monthly purchases have helped support the livelihoods of nearly twenty local farmers and producers and close to two hundred more across the state. The OM has topped $80,000 in sales which means you have helped keep $240,000 circulating in the Maine economy. As many of you know, a permanent storefront has been the stated goal of KLFI since day one. In addition to growing the local edible economy, we’ve also wanted to make a social impact in the greater Gardiner area. Less than a year ago, the current board of KLFI voted to adopt the cooperative model for the future storefront and committed to take the necessary steps in order to open the doors. Congratulations to these Maine buying clubs! For persevering through hard times of beginning a buying club. For the work to bring fresh local food to more people. For creating economic success. And for letting us help to make it happen. Know of a buying club that has become a store? Share your story! In terms of my day to day work I don’t always get to see the people I work with. It’s usually by phone or Skype. Today was a special treat to spend it with the Boondocks Buying Club in Bethel, ME. What a great idea, and a nice show of creativity within a buying club. They’re saving money, being involved in the community and giving. What more can we ask for? 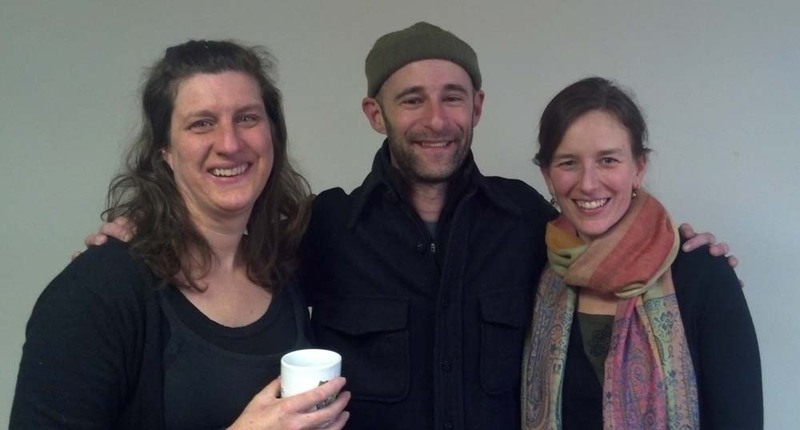 One of our customers, the Portland Food Co-op, recently had an open house at their new location. It was a space that was donated, rent free for five years and the group did an amazing job renovating it. With the software and more physical space to run a large food pickup with stations for picking up and checking out, food pickups in the new space are going excellent and helping the co-op grow. The PFC was our first customer, the inspiration to build the software and they continue to push the software forward in both feature development and overall flexibility. Both Jeremy and I are member owners, so seeing the recognition the co-op is getting is absolutely awesome in many ways. We would like to wish the P.F.C. continued success and we’re very happy to be a cog in the machine, helping move the group along. For more information, check out the article in the Portland Press Herald. While we have not put BuyingClubSoftware.com to work yet, the idea of ordering food being the seed of community is what this story says to me. A group that has worked hard and created a community of their own, getting a donation like this from an interested party is a big game changer. The donation was a building with about 4,700 square feet(we currently use 600 square feet we share with others), rent-free for 5 years, and $40,000 for renovations. We have to pay the expenses and taxes, and actually do the necessary renovations, but this person has provided the opportunity that we are happy to be a part of. This, and using software like BuyingClubSoftware.com to run larger orders is where we are headed. Thank you Donald Sussman, and thank you to everyone who has been a part of growing the Portland Food Co-op. Here we go!